Homeopaths swear by this weight loss supplement, digestive aid, and sore throat remedy. But did you know that apple cider vinegar also has a number of skin-specific benefits on its lengthy list of uses? Simply put, apple cider vinegar is fermented apple juice. Bacteria and yeast are added to apple juice to start the fermentation process, which turns sugars into alcohol. A second fermentation process adds acetobacter bacteria, which converts the alcohol into vinegar and acetic acid, which make the liquid sour. It naturally contains vitamins B1, B2, B6, and C, biotin, folic acid, magnesium, and potassium. How does apple cider vinegar work in skincare? Apple cider vinegar, or ACV, has several potential uses when it comes to skincare. One of the most popular uses for ACV is in facial toners and acne treatments. When diluted enough to be suitable for use on the skin (a high acidity level means ACV must be watered down significantly for safe external use), it can be a powerful remedy in fighting acne due to the alpha hydroxy acids (AHAs), like citric and lactic acids, that it contains. These acids act as exfoliants that clean and soften the skin, removing dead cells and dark spots. 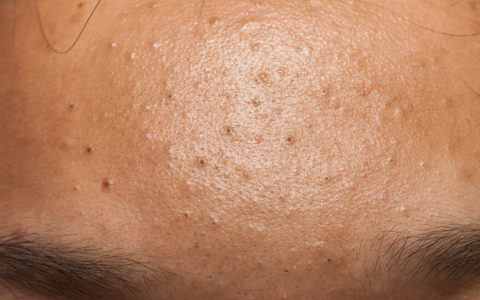 The vinegar’s acidity makes the solution antibacterial, which can further assist in removing acne. Apple cider vinegar can also restore pH balance in the skin and reduce redness or inflammation caused by acne and related skin infections. 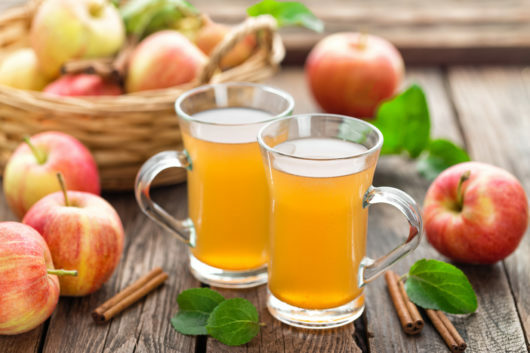 Apple cider vinegar can also help soothe sunburn, relieve mosquito bites and poison ivy stings, treat dandruff, and act as an anti-fungal. What forms does apple cider vinegar come in? You can purchase filtered, unfiltered, and/or organic varieties of the solution at your local grocery store. The unfiltered, organic version will still contain traces of the cellulose and bacteria mixture used to turn the juice from alcohol to vinegar, which contain some of the properties necessary to reap apple cider vinegar’s skincare benefits. Filtered apple cider vinegar will appear clearer, as it contains no traces of the mixture. Who benefits from apple cider vinegar in skincare? Anybody, essentially! Summer is just around the corner, so if you love spending time outdoors and occasionally suffer from sunburn or unbearable bug bites, you may want to consider creating your own apple cider vinegar concoction. If you’re looking for a natural alternative to the chemicals in your toner or dandruff shampoo, you might also consider giving this fermented fruit a shot. Keep in mind, however, if you’re going to use ACV at home, it needs to be diluted. American Academy of Dermatology spokesman Dr. Michael Lin recommends using apple cider vinegar diluted with water at a ratio of 1:10. Keep an eye on acidity levels, though, as they vary by brand. Folks purchasing apple cider vinegar for skincare should aim for an unfiltered apple cider vinegar with about 5% acidity. Looking for a place to start? Try this toner recipe! There is no end to skin care benefits of apple cider vinegar. Apple cider vinegar is great for many skin problems and infections because many active ingredients present in it. While people don’t pay much attention towards the merits of this wonderful natural remedy. But trust me it really works and the results are amazing.